It was only a matter of time, really. Trainer Chad Brown, the two-time defending champion trainer in the United States, was bound to have more of an international presence and that may commence on March 31st. The former Bobby Frankel assistant, based in Florida in the winter and New York throughout most of the remainder of the year, is pointing Economic Model to the $1 million Godolphin Mile sponsored by Mohammed bin Rashid Al Maktoum City – District One (G2) on the Dubai World Cup undercard. The presence of the son of Flatter, also the sire of West Coast, adds considerable depth to a race that appeared one-sided toward expected favourite –for the second consecutive year– Sharp Azteca. Jockey Joel Rosario is expected to ride the G1-placed two-time stakes winner who gamely defeated G1 winner Irish War Cry in the Hal's Hope (G3) last out at Gulfstream Park over this same 1600m distance. Meanwhile, locally, Kimbear proved one of the most resilient horses in recent memory when defeating heavy favourite Heavy Metal in the Burj Nahaar (G3). The win makes him one of two confirmed Godolphin Mile prospects for trainer Doug Watson, who has won the last two editions of the race. Last year's winner, Second Summer, will now go for a defence, instead of pointing toward the Dubai World Cup. 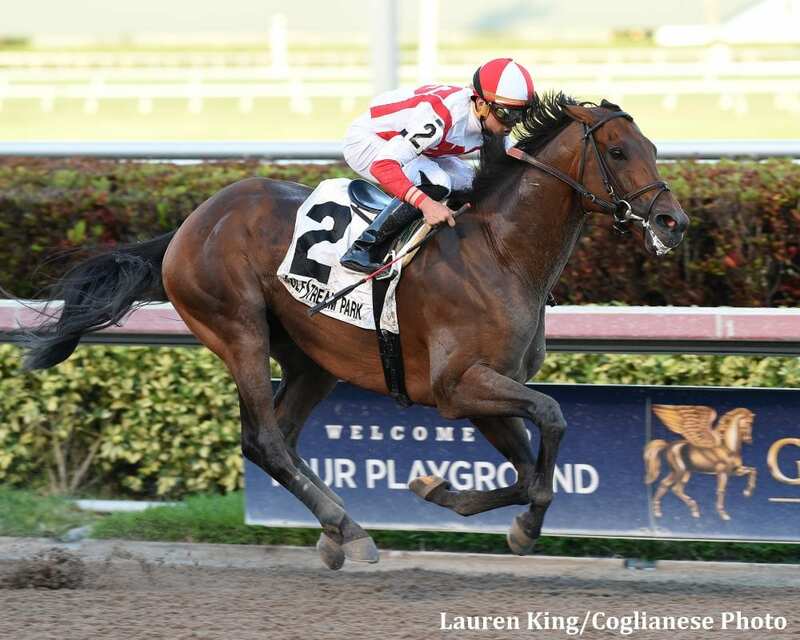 Trainer Mike Maker is known in the United States as one of the best in the game of going long on the grass and now he is taking that show on the road with a well-bred son of Dubai alum Gio Ponti. Run Time, owned by Allen Racing and Bloom Racing Stable, will represent America in the 3200m $1 million Dubai Gold Cup sponsored by Al Tayer Motors (G2) on Dubai World Cup Day. Two starts back, in the 3200m Allen H. Jerkens Stakes at Gulfstream Park, the long-winded 5-year-old defeated Grade 1 winner Bullards Alley in fine style. Last out, he was off the board in the Mac Diarmada Stakes (G2) over 2400m on the same turf course. Soon after, Bloom visited Dubai and now very much looks forward to having his horse run around its long sweeping Meydan turns. England's Dal Harraild is taking aim on this marathon event for trainer William Haggas after his impressive romp on March 10th in a 3200m conditioned stakes over the Chelmsford all-weather. Meanwhile, German trainer Waldemar Hickst has confirmed that G1-placed Parviz is taking aim on the stamina test, as well. This entry was posted in Racing and tagged allen racing, bloom racing stable, Chad Brown, dubai, Dubai Gold Cup, dubai world cup, economic model, Flatter, gio ponti, Godolphin Mile, jeffery bloom, kimbear, Meydan, mike maker, run time, sharp azteca by Dubai Racing Club. Bookmark the permalink.